Richland County is 1,436.7 square miles in land and a population density of 11.4 square mile. With some rolling land in the southwestern portion and along river areas, the geography of Richland County is mostly level. 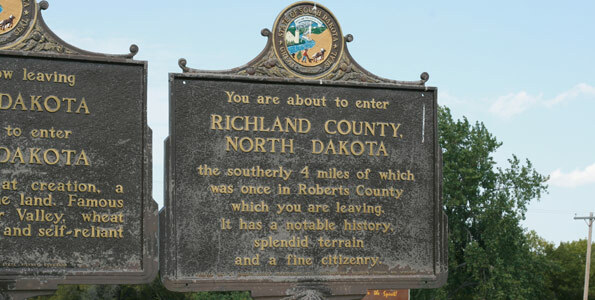 Wahpeton, the largest city in Richland County, is the County Seat and is located in the middle of the county and borders the state of Minnesota. The 13 additional cities located in Richland County are Walcott, Colfax, Christine, & Abercrombie in the north, Dwight, Mooreton, Barney, & Wyndmere in the middle, and Lidgerwood, Hankinson, Mantador, Great Bend and Fairmount in the south.